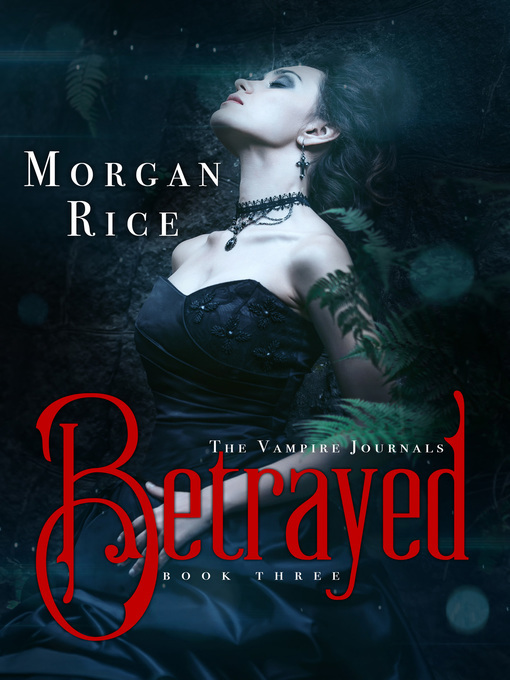 BETRAYED is book #3 in the #1 Bestselling series THE VAMPIRE JOURNALS, which begins with TURNED (Book #1)—a FREE download! Books #4—#11 in THE VAMPIRE JOURNALS are now also available! "BETRAYED is a great installment for this series. Morgan Rice has really come up with a winner in this series. It is fast paced, filled with action, love, suspense, and intrigue. If you haven't read her first two novels, read them and then get your hands on BETRAYED. I read these books in order, but each of these books are also designed to read individually, so even if you haven't read the first two, pick up BETRAYED. I'm sure you will end up getting the first two - they are all definitely worth a read...or two!" "The cliffhanger at the end of BETRAYED will leave the reader panting for more, and BETRAYED receives a solid A for its face paced read, and imaginative story." "BETRAYED has good romance, a strong plot, lots of action, and a very quick pace. It is written a bit darker than the previous installments, but we get more of the back-story, helping us to understand the characters a bit more. The secondary characters become stronger and help to build the different story lines together....Morgan Rice has taken the story to a higher level. There are so many wonderful surprises that you will not want to stop reading it until the very end."